Bonjour lecteurs! As I previously explained in many more personal posts, I have been struggling with my figure after becoming a maman. To be honest I have always been a yo-yo dieter. My friends and family have come across a proud size 10 Frenchie Mummy but also a less attractive version of moi buying clothes in a size 16. Like many other women, I am not always in best terms with food. Actually, it looks like we are too friendly lately! So I was very eager to try the Silk’n Lipo. 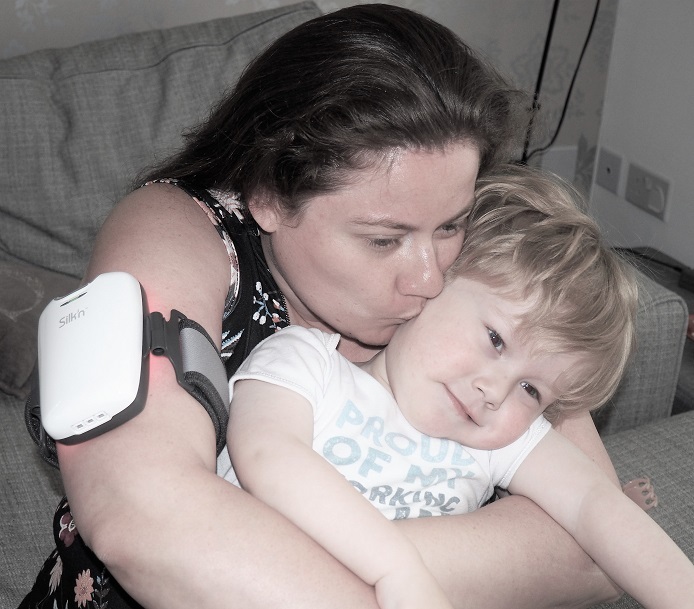 It is the first device with LLLT (Low-Level Laser Therapy) and EMS (Electric Muscle Stimulation) technologies that you can use at home. Ordinarily utilised in skin clinics, those are now available for you to use in the comfort of your home. I have been using it for about 8 weeks and here is my final Silk n’ Lipo Review. Before I even start sharing with you my measurement and the results of this whole experience, I need to be honest with you. If I was to see an ad for Silk n’ Lipo, I would have been very sceptical. Trust me, I tried many diets and looked into many ways to be as fit as possible (does that ring a bell, ladies?) and a magic device that can do all the work for you seems way too parfait, right? Also, note that using this sort of equipment and eat for two at the same time will not make any difference! Silk’n Lipo is great to be used to help get rid of fat, but will not be a miracle! You need to use it at a constant pace and not once a month to see real results! If you want to follow my whole journey with Silk’ n Lipo, we have shared regular updates every fortnight so feel free to have a look at all the posts for a more insightful idée. Eeek! I don’t really like those numbers! But after having used Silk’n Lipo, it looks better! Looking at the figures above, it is very interesting to see the results. I am obviously very contente to see my waist getting way smaller! Hurrah! I did not expect such results to be honest. 3 cm seems like a lot to me! My arms are also more toned. I can even use Silk’ Lipo while working! Regarding my legs, it is hard to come to any conclusion. As I decided to get fitter and take better care of myself when I embarked on the full Silk’ n Lipo journey, I have also been doing intense cardio routines. Plus, I have been on the cross-trainer 3 to 5 times a week. I reckon losing only 1 cm of circumference there is not really representative of the experience. I obviously gained more muscle because of my new sporty life. In conclusion, the technology of Silk’n Lipo works. I have actually lost some fat. More importantly, I am a happier maman! I know my journey in getting fit is far from being over! But it really motivated me to get going as I have seen some good results. Plus, it is very handy to use at home. 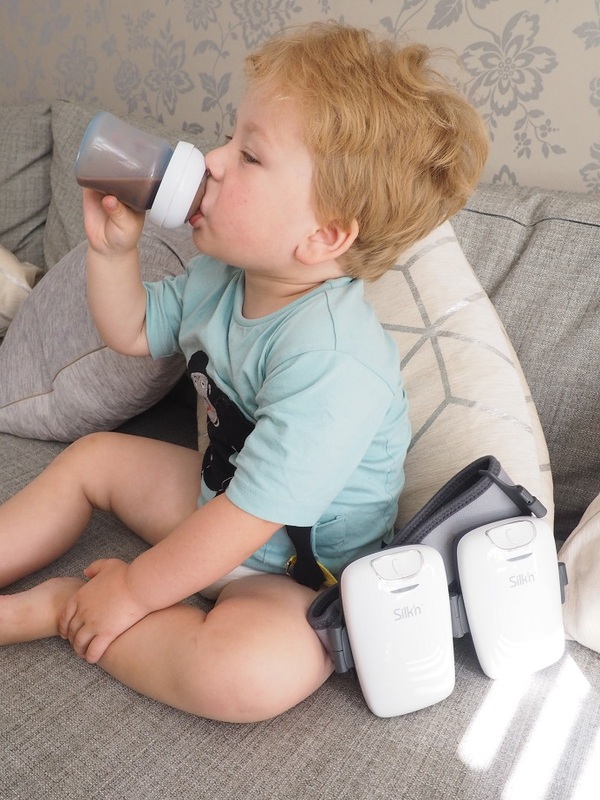 Watching TV with Baba, working on my desk, cooking in the kitchen… If you are a busy mum, you always have something to do. It is very facile to use around your routine. You do not have to change your life in any way shape or form! And no need to dramatically change your life! It’s also safe. When you use it, you can actually feel the LLLT (Low-Level Laser Therapy) and EMS (Electric Muscle Stimulation) at work. But it doesn’t hurt nor produces marks on your body. You can control the intensity of the device so if it is too high, you can simply lower it down. To me, that is an important point. It is not like any invasive surgery! And yet you lose fat! So if you are looking at trying a non-surgical liposuction to get rid of fat, Silk’ n Lipo would be a good option for you. 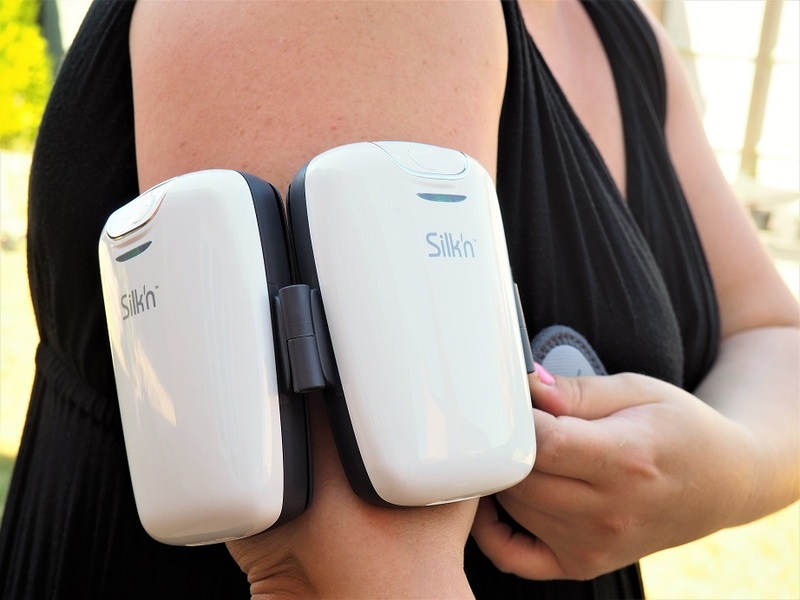 Since I took Silk’n Lipo to the Test, many people emailed and messaged me to ask my opinion. 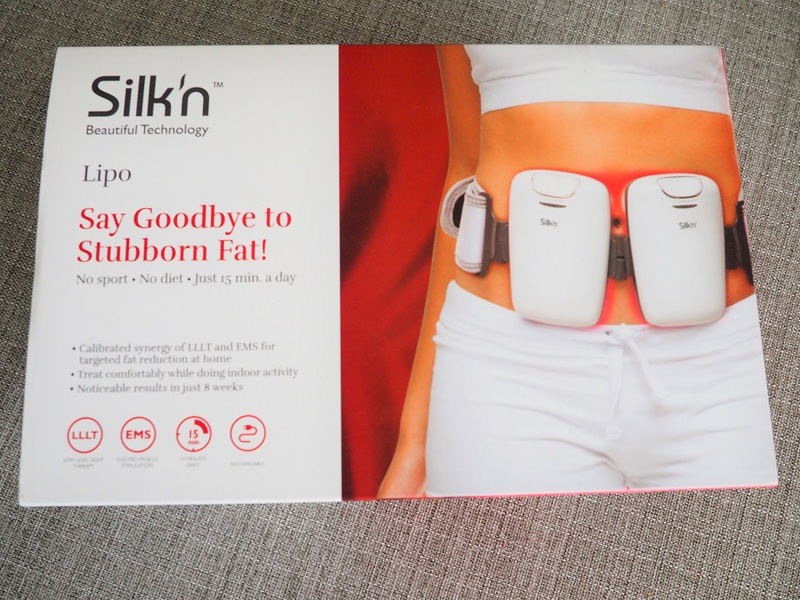 So here is for your my full Silk n’ Lipo Review! 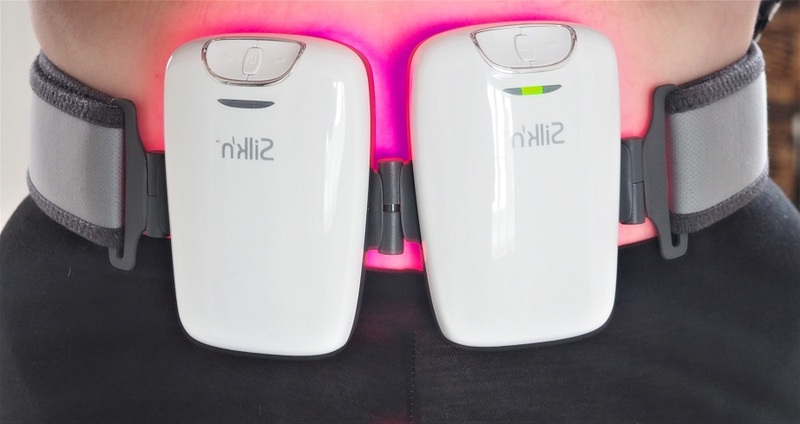 This laser lipo device is working in my experience. If you are interested in knowing more, have a look at the brand’s website. Disclosure: This is a sponsored post written in collaboration with Silk’n Lipo. However, all figures shared in this post are true. This is an honest opinion after having tried the device for a certain period. Congratulations for sticking to your routine. It’s not easy to be consistent when you have a busy lifestyle but you have persisted so should feel very pleased with yourself! Would I try it? Maybe, as I’m not having a lot of luck with using my ‘will power’ as a deterrent when it comes restricting certain wines and appetising food! Well done you! I have been the same like a yoyo over the years last year I lost over 3 stone . I’ve been watching to see how this goes as I have saggy under arms It’s hard to get those toned up. Looks like this has worked a treat on you. You’ve done so well ! Inspired totally to try something like this! Well done – it is never easy trying to lose weight and requires hard work which you are obviously doing! It’s great when you start to see results – very motivating! I’m glad you have found this product effective and it’s always good to read thorough reviews like yours. Women are a little unlucky how fat is distributed. Well done for sticking to this and it looks like it worked well ? Congrats on keeping up the routine! This looks like it really works well done. It seems to really work on the arms I might have to look into this myself. Oh wow!!! I had never heard of this silk n lipo before! I so need this in my life! Thank you so much for sharing your review with us. Wow those results are cool I’d love to get rid of my bingo wings or at least make the wing span smaller ??? My arms are a real problem area so I would love to use this!! I’m sceptical of these type of devices, maybe having spent money we try harder in other ways to get an effect. But if you believe it works for you then it works so that is a win. It’s great that it can be easily used at home! Sounds good, how long did you actually wear it for each time, and how long did you try it for overall? Anyone else here again and again? A really interesting blog, it is nice to read a genuine review. Well done on sticking to your routine. I must admit- I wouldn’t have the will power. It would be interesting to hear of your results long term. They look worth a try – may add them on the Christmas list! 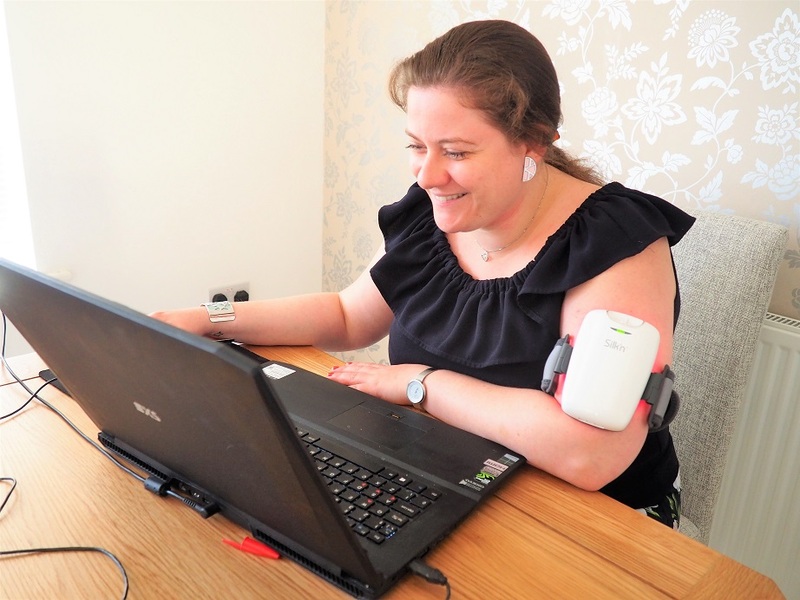 I hate my arms too – good to see something that works! Wow! Those measurements are incredible…. I bet you’re so happy…. not sure I’d really stick to it. Nice Therapy!!! Keep it up! Well done, it’s so nice to read you feel happier and healthier ? Looks great, and some good results too. 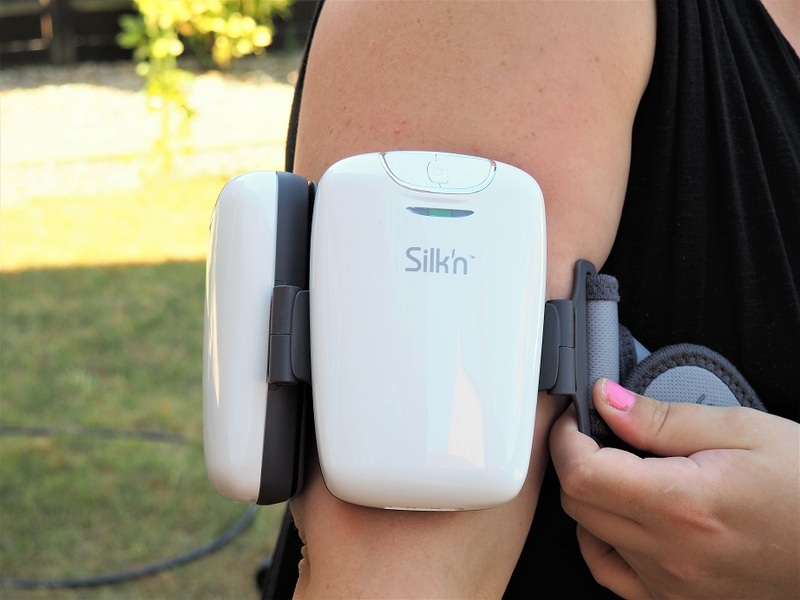 This looks like a useful device especially to target those difficult areas like upper arms. Got to admit I’ve always wanted to try it but not sure I’ve i could stand I feel it hurt even though I’ve said to for 7 hours having a tattoo done. Previous Previous post: #ExpectingChange with Mama Mio – Stand Up For Mamas-to-Be on Public Transport!